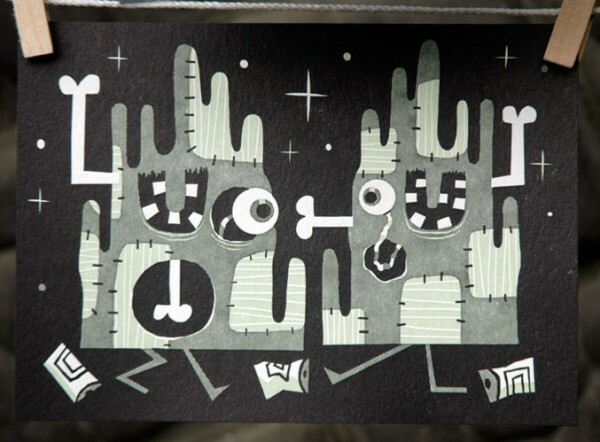 These two oozy dudes are my addition to the new “Hanging with the Dead” letterpress print set published by Cloudy Collection. The set of seven 5 X 7 inch prints (all by different artists) are limited to an edition of 50 sets. Cloudy Collection is an ongoing collection of print sets featuring the art of a long list of high profile illustrators, cartoonists, and designers. Each set has a theme which is open to interpretation. Michael Slack is an artist, illustrator, and character designer, His character driven humorus art has been recognized by Society of Illustrators Los Angeles, Applied Arts, Pictopla… Show more. Send a message directly to Michael Slack. 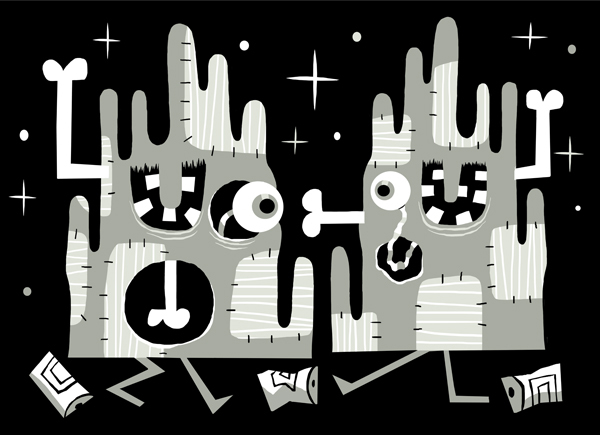 Michael Slack is an artist, illustrator, and character designer, His character driven humorus art has been recognized by Society of Illustrators Los Angeles, Applied Arts, Pictoplasma, Computer Arts, SBS Digital Design, and IDN magazine. Michael's art work has been exhibited New York, Los Angeles, Chicago, San Francisco, and in traveling shows in Europe. Michael's character driven humorous art has can be seen in magazines and gallery exhibitions in the U.S. and Europe.